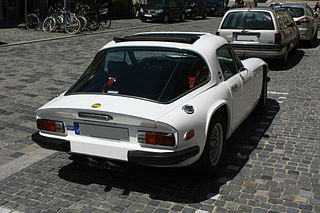 The TVR 1600M and 2500M sports car was succeeded in the M-Series range by the 3000M fixed head coupe. It made its debut at the October 1972 Earl's Court Motor Show in London. With a compression ratio of 8.9:1, and fitted with a single twin choke Webber carburettor, the 2994cc, cast iron, pushrod operated, Ford Essex V6 engine developed 142 bhp at 5000 rpm, and 174 ft/lbs of torque at 3000 rpm. Fitted with a four speed gearbox, this gave it a top speed of 130 mph, with a 0-60 mph time of 7.5 secs. A Laycock de Normanville overdrive was offered as an optional extra. It was the top of the range of the original M-Series, and took over from the now obsolete US version of the 2500M, with sales continuing up to 1979. It had four wheel coil spring independent suspension. The brakes were servo assisted, and consisted of discs at the front and drums at the rear. The US version of the 3000M had a top speed of 115 mph, with the Taimar and 3000S being a little slower on account of their extra weight. In 1973, the 3000ML sports car was introduced as a luxurious version of the 3000M, and included a walnut dashboard, leather trim, carpeting, a sunroof, and seats with a high back. The ML variant was produced for just one year. A combined total of 654 units of both 3000M versions were buiilt. 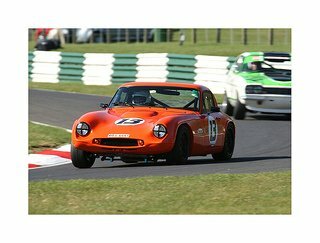 To mark the first 10 years of Martin Lilly's acquisition of TVR in 1965, 12 anniversary models of the 3000M were built, with each receiving an individually numbered plaque. They were finished in brown, and fitted with all available extras, including Wolfrace wheels, tinted glass, and an upgraded interior. 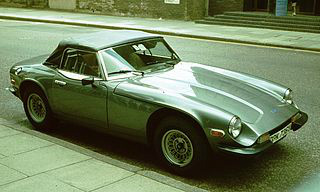 A hatchback version of the 3000M, called the TVR Taimar, was launched at the 1976 British International Motor Show in London. Mechanically, it was identical to the 3000M, and the benefit of the opening tailgate was to facilitate the storage of luggage at the rear of the car, which had been somewhat difficult in the other models of the range. This feature helped the Taimar to outsell the 3000M in its first year of production. When production ended in 1979, a total of 395 Taimars had been built. 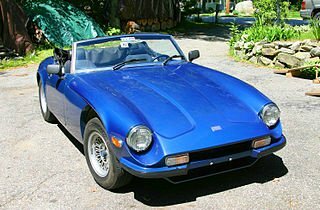 In 1978, the TVR 3000S sports car was introduced. Designed as a convertible, the mechanical components were the same as those used in the 3000M. 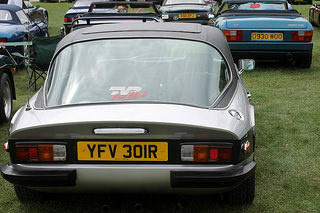 The 3000S was the first TVR to offer a separate boot facility. The foldaway convertible vinyl top and windscreen were courtesy of the Jensen Healey convertible. 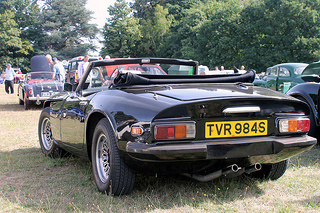 The 3000S was the first open top production TVR, and was the company's best seller towards the end of the 1970's. Following modifications to the Essex V6 engine in order that it cleared US emission control regulations, exports of M-Series cars to the US began in 1977. In total, 258 units of the 3000S were built by 1979, when production ended, and at least 49 were exported to the US. 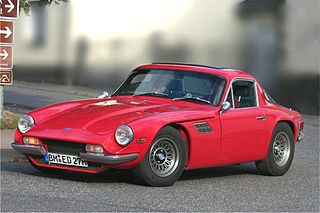 After a seven year production run, the M-Series was phased out in 1980 in favour of the TVR Tasmin. 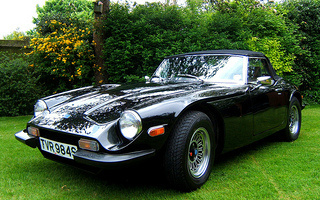 A 1978 TVR 3000S in good condition would fetch in the region of £15,000/$24,000.